DIY Crystal Nails: Rainbow Version! I’ve been on this nail kick lately. 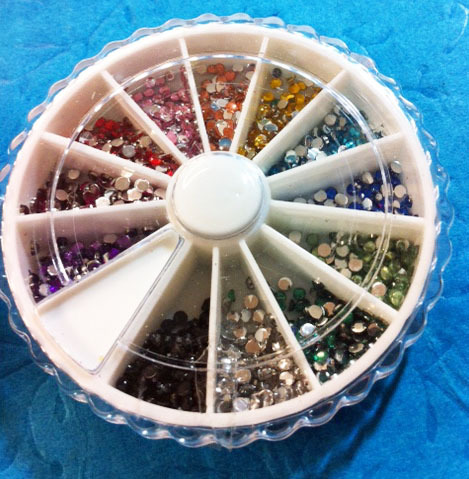 After looking through my mom’s art supplies I found the Holy Grail of nail art supplies – mini crystals and fruits that she bought on eBay all the way from China! I decided to add some bling to my nails using them! These are the nail crystals, they are very tiny! 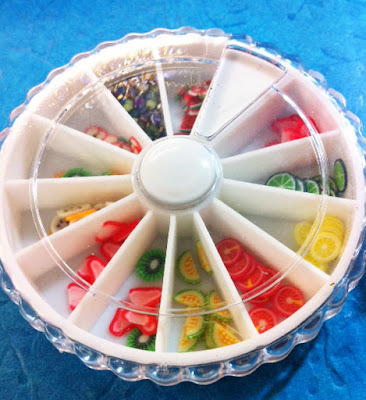 And here are the little fruit pieces! 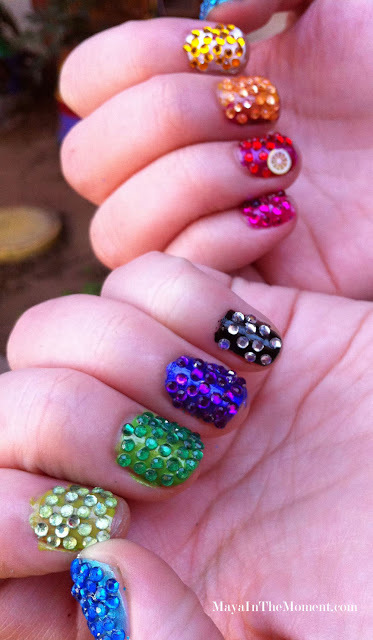 First, add a clear coat of polish on your nails, then add color. 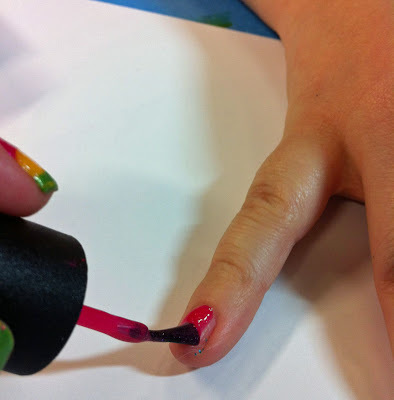 Start again from the first nail and add a thick coat of polish. 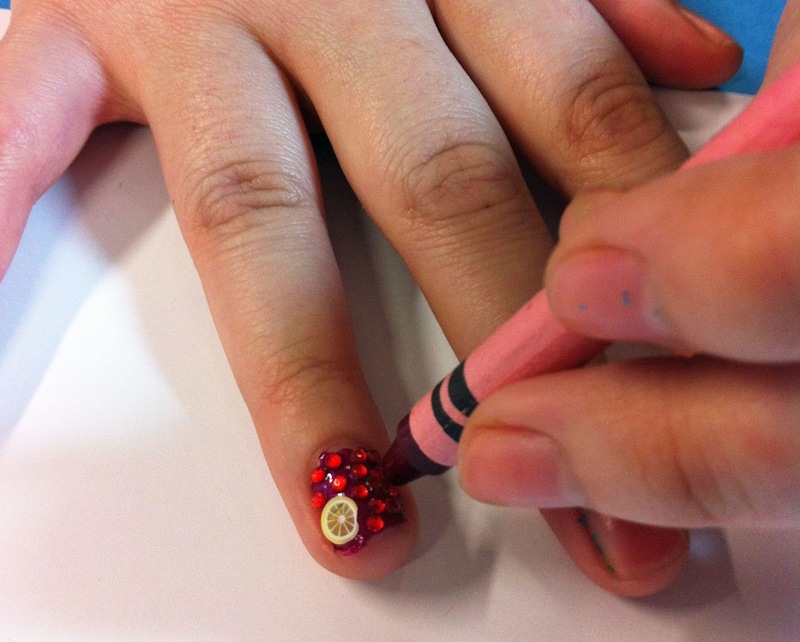 Before it dries, use a crayon to pick up a crystal and set in the wet polish. TIP: Use different shades of polish underneath to bring out the color of the crystals, I did this because I really wanted a RAINBOW look. But you could use all black polish or all white, etc… to each their own! Continue until the nail is covered with crystals. You can also embed a little slice of fruit! However, the next next I played my ukulele and the crystals came off, guess they couldn’t hold up to the strings! Weird question…who is the band singing “downtown” in your video “Dance Like Nobody’s Watching?” I would love to know! Thank you! 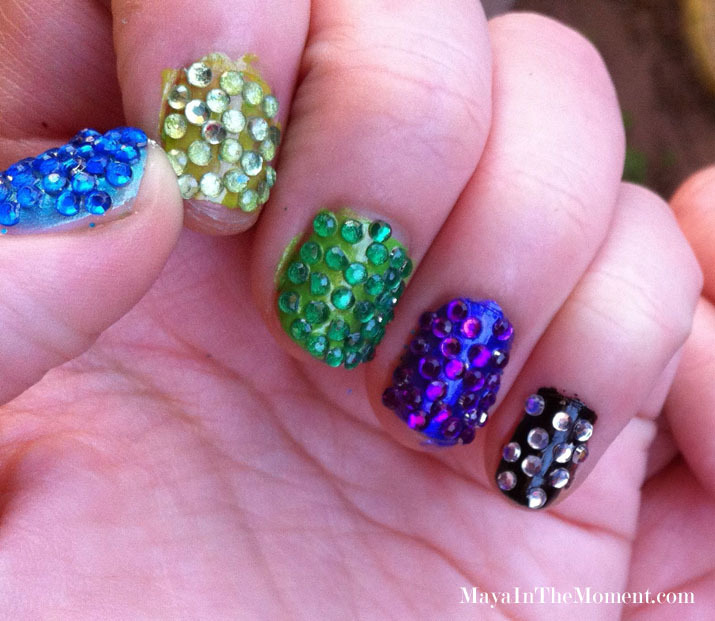 You have to use a special extra thick clear top coat to cover the crystals and fruit once you are done applying them. That’s how they do it in the nail salons so that the art stays attached. Sandy – thanks for the tip! Dreaming Bear – it is the B-52s!